The Book of Psalms is the first book of the Ketuvim (Writings) section of the Hebrew bible. There are 150 of these poems which seem to be in no particular order….. so this’ll take a while. Seventy-three are attributed to King David, but that’s disputed by modern scholars (no surprise there – like just about everything else in the bible, authorship and historicity are questionable). 5. individual songs of thanksgiving. Chanting or singing psalms is a part of many Christian and Jewish faith traditions; 39 psalms actually have instructions for choir directors built right into them, or at least into early translations (prior to the modern era). 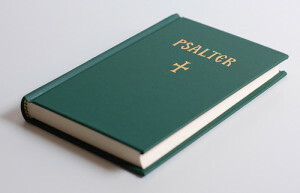 A book containing the words set to music for church choir and/or congregational use is called a Psalter (pronounced Salter). The Psalter was a very big deal in the early history of the church. According to Wikipedia, “psalters were the books most widely owned by wealthy lay persons and were commonly used for learning to read. Many Psalters were richly illuminated and they include some of the most spectacular surviving examples of medieval book art.” Take a look here at the St Albans Psalter. The entire Psalter can also be viewed online. My mother had a Psalter which she used in her Anglican Church to sing the psalms in tradition chant form . Some Psalms were sung more often than others, though; cherry-picking was de rigeur. More elaborate musical arrangements have been composed by such varied artists as Bach (in a number of cantatas), Vivaldi, and Handel in the baroque era; Mendelssohn, Brahms, and Saint-Saens (romantic era); Vaughan Williams, Holst, Ives, and Kodaly (early 20th century); Britten and Rorem (modern), and U2 (contemporary). It’s impossible to avoid them if you’re a serious choral or vocal musician. 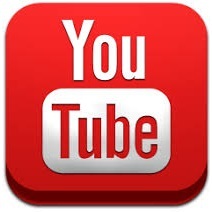 As we read through the book of Psalms, if I recognize any of them as being used as text for hymns or choral works, I will point that out and try to find a link to a performance. They can be tricky to pick out, though, even if you’re familiar with both the hymns and the psalms. Some psalms were used as actual lyrics, but many others only ‘inspired’ hymns, so the correlation isn’t always immediately recognized. There are several Psalms to read every day, so I won’t say much about each one.